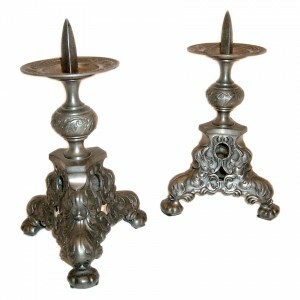 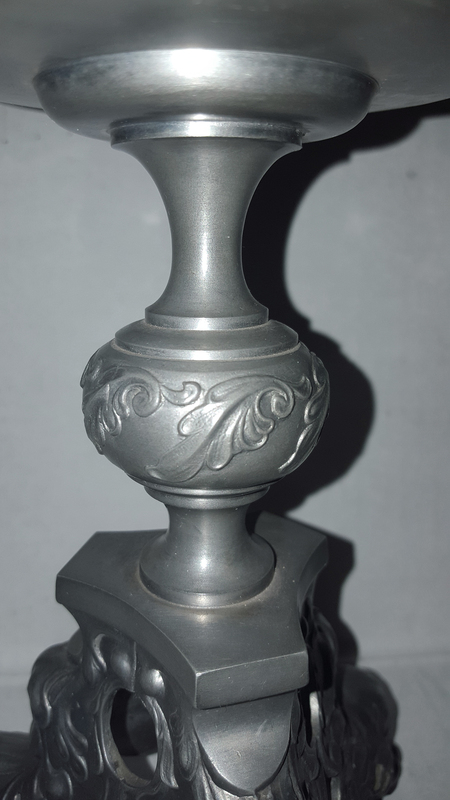 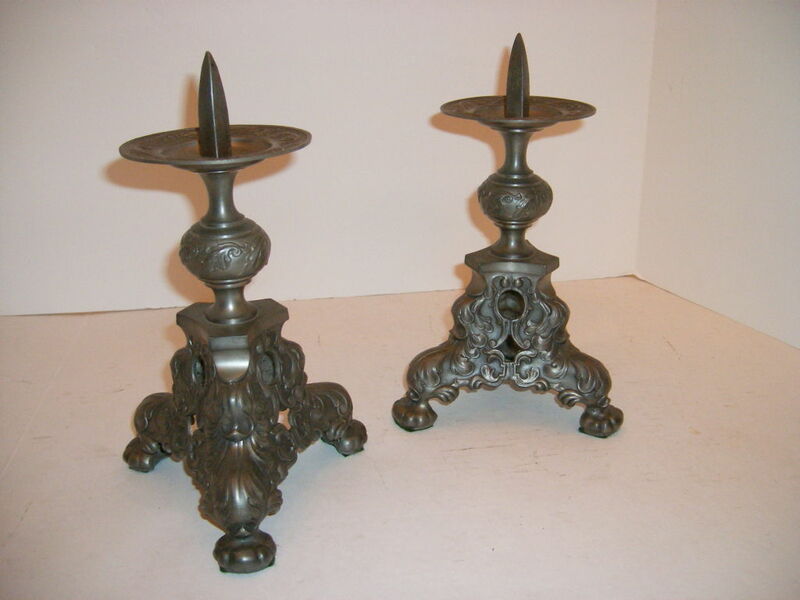 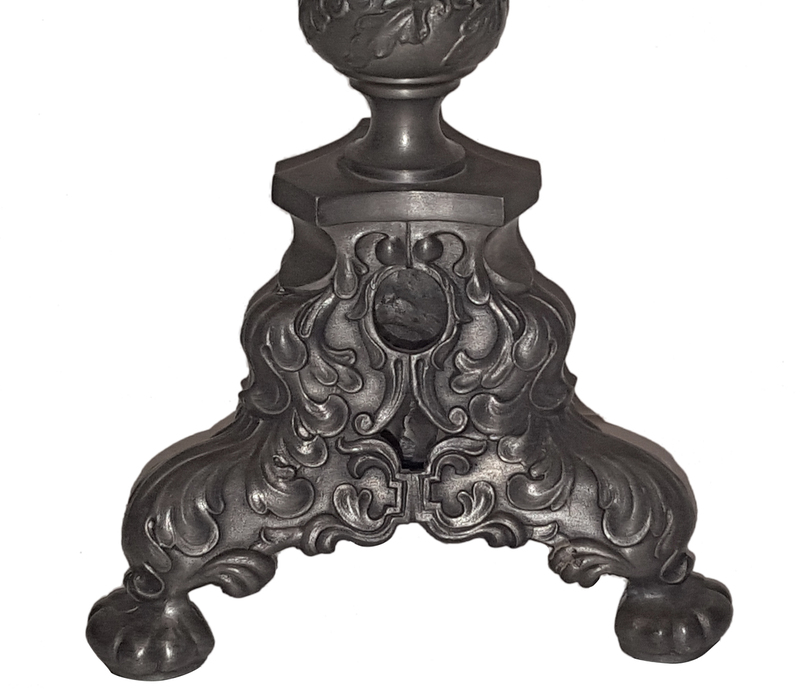 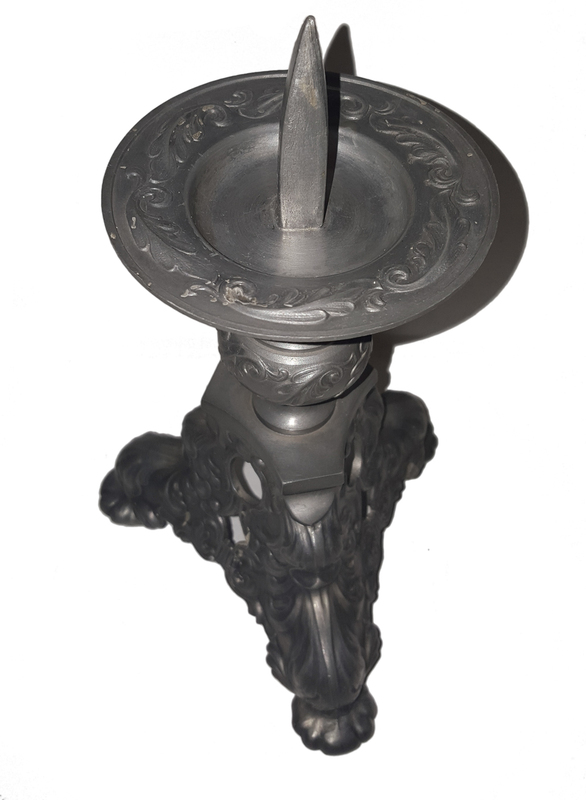 A pair of circa 1900 cast metal candlesticks, original patina. 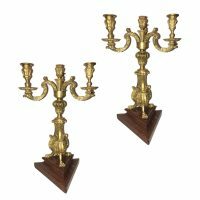 Pair of Italian gilt bronze candlesticks with eagles and pomegranates depicted on body. 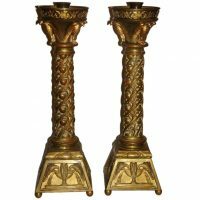 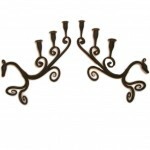 Measurements Height: 24" Diameter: 7.5"
Two pairs of English patinated bronze footed candlestick lamps. Sold per pair. 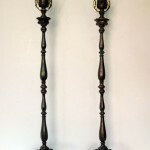 Measurements Height of Body: 21" Height to Shade Rest: 31"